Adonis Stevenson entered tonight’s contest against Oleksandr Gvozdyk as the sport’s oldest active reigning champion. 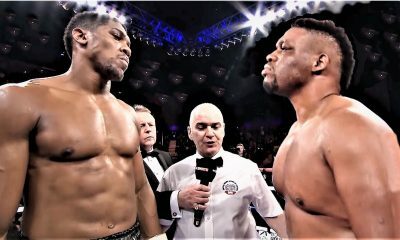 He left the ring looking very much like a has-been after being stopped in the 11th round by his Ukrainian challenger. Stevenson, making the 10th defense of his WBC world light heavyweight title, started fast. Gvozdyk, wary of the power in Stevenson’s explosive left hand, fought cautiously, constantly circling. When Stevenson let his hands go, his punches invariably landed on Gvozdyk’s gloves. Ten years younger at age 31, Gvozdyk was a millisecond faster. Gvozdyk won the middle rounds as his punches landed with greater frequency. However, he had a scary moment in Round 10 when he was tagged with a hard left. The ropes held him up but the ref didn’t call it a knockdown. Before the round ended, however, Gvozdyk was the aggressor. 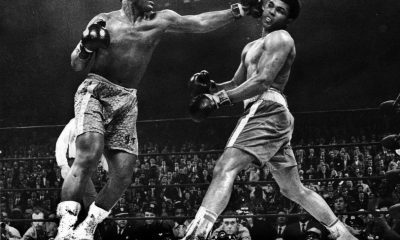 He raked Stevenson with a flurry of punches in the waning seconds. In the 11th, Gvozdyk hurt Stevenson, knocking him into the ropes, and then went for the kill. 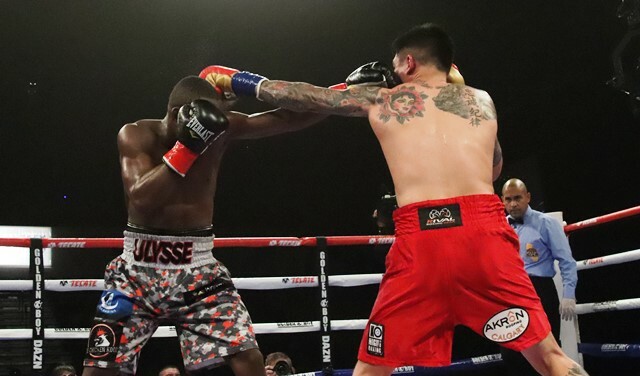 When he clubbed Stevenson to the canvas, the referee didn’t bother to count. It was the right decision as Stevenson was slow getting back on his feet. He left the ring on his own power but as a precaution was transported to a hospital for observation. In advancing his record to 16-0 (12), Gvozdyk won the WBC 175-pound belt. 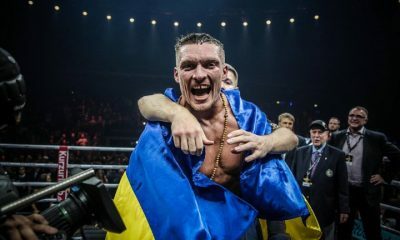 And for Ukrainian boxing fans, he completed the trifecta, joining former amateur stablemates Vasiliy Lomachenko and Oleksandr Usyk as reigning world champions. 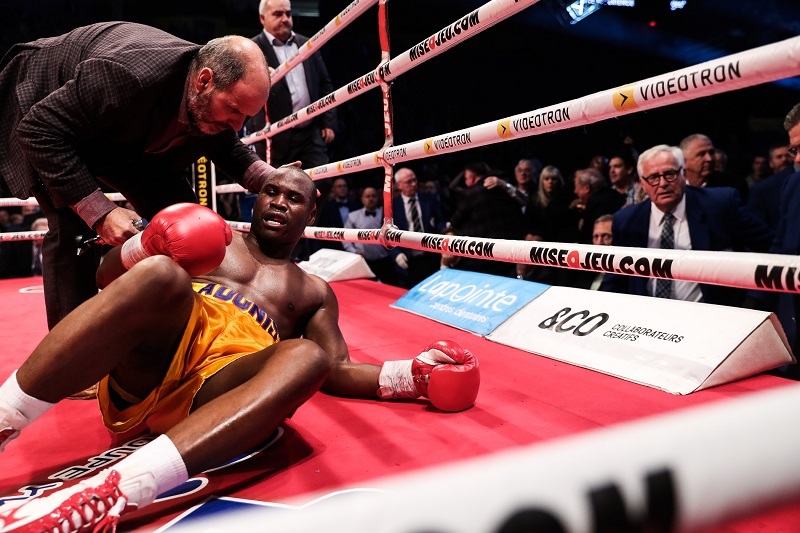 Adonis Stevenson, now 29-2-1, still has thunder in his left hand, but as the bout wore on he began to show his age. Gvozdyk’s win was also a victory for his first-time trainer Teddy Atlas, who designed the perfect game plan, a plan that his pupil executed to perfection. 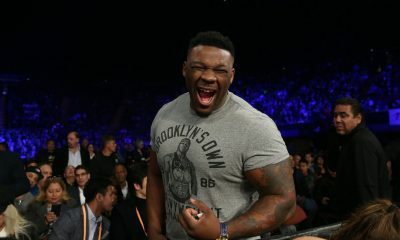 Several of the undercard fights were pushed back after the main event, a concession to Showtime which live-streamed the fight for free as a teaser for the Wilder-Fury PPV. 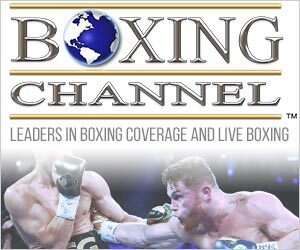 In the first bout of the evening, slated for six rounds, highly-touted heavyweight prospect Oleksandr Teslenko improved to 15-0 (12) with a third round stoppage of Edson Cesar Antonio. Reportedly 224-23 amateur, the six-foot-four Teslenko, a Toronto-based Ukrainian, had a six-inch height advantage over his stumpy, 41-year-old adversary. 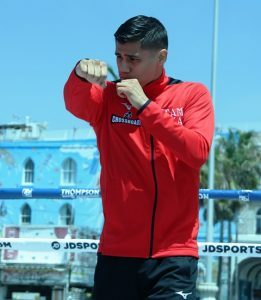 Antonio, one of four Brazilians on the card, brought a 40-7-1 record but had scored only three wins over opponents with winning records when he fought them. 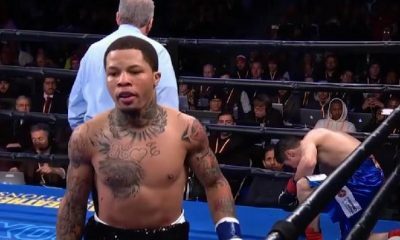 The 10-round match between super middleweights Shakeel Phinn (19-2-1) and Dario Bredicean (17-0-1) ended in a majority draw. The French-Canadian judge had it 98-92 for Phinn, a Quebec native of Jamaican ancestry, but he was overruled by his colleagues who had it even (95-95). A rangy southpaw, the Chicago-born Bredicean had his early bouts in Germany and now resides in Florida. 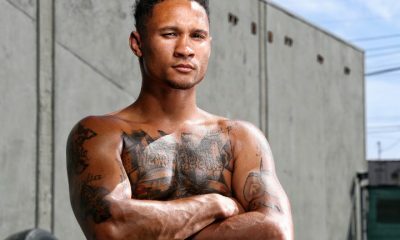 In a Mutt and Jeff affair between greybeards, 40-year-old Aaron Pryor Jr., a six-foot-four super middleweight, won a six round unanimous decision over a 41-year-old, five-foot-six Brazilian, Gilberto dos Santos (14-9). Pryor, a pale imitation of his father, improved to 21-11-2. All three judges had it 59-55. 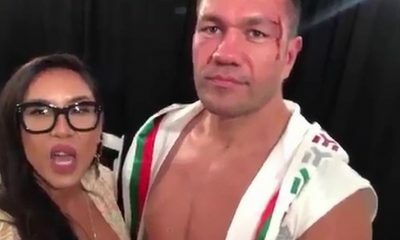 In a 10 round heavyweight match billed for NABF heavyweight title, Oscar Rivas (25-0) won a lopsided decision over Fabio Maldonado, a 38-year-old Brazilian who wasn’t expected to last the distance. 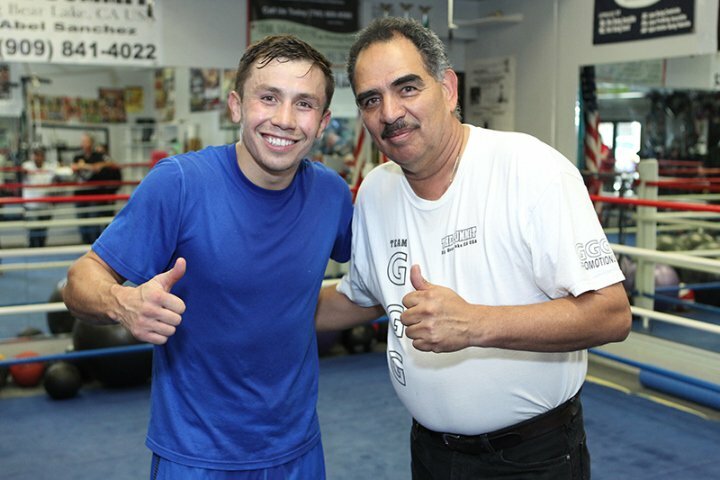 True, Maldonado was 26-0 (25) going in, but his opponents were collectively 68-129-3. The scores were 100-89 and 99-90 twice. 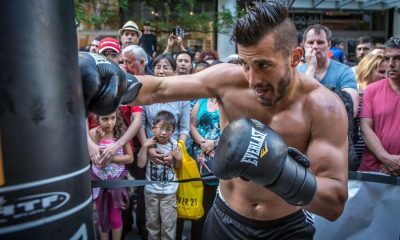 A Montreal-based Columbian, Rivas has a date penciled in to fight Bryant Jennings on Jan. 19 at the Turning Stone, Casino, in Verona, NY. 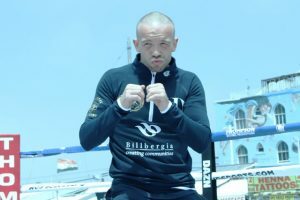 In one of the matches pushed back after the main event, Quebec native Mikael Zewski (32-1) pitched a shutout over Mexican journeyman Aaron Herrera (35-9-1), winning all 10 rounds on all three scorecards. And another Quebec native, 32-year-old Marie Eve Dicaire (14-0, no knockouts) won the IBF word female 154-pound title, deposing Uruguay’s Chris Namus (24-5) by unanimous decision. The scores were 96-94 and 97-93 twice.